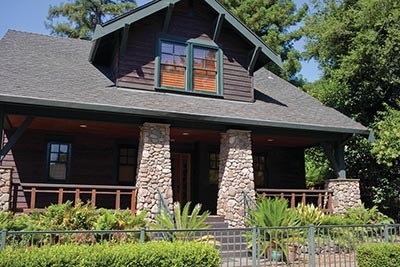 A home in Napa County, where home sales increased by almost 100 percent from February to March. After a particularly rainy January and February, Bay Area home sales jumped in March as the region dried out a bit, although low inventory and the consequent affordability conditions are likely to stifle activity across the region and the state as the year progresses. According to the California Association of Realtors’ latest home sales and price report, 416,580 existing single-family homes were sold statewide on a seasonally adjusted annual basis in March, up 4 percent from February and 6.9 percent from one year earlier. In a statement accompanying the report, CAR President Geoff McIntosh attributed the solid sales increase in part to looming interest-rate hikes, which are motivating hesitant buyers to act. All major regions of the state posted monthly and annual sales-volume gains. Home sales in the nine-county Bay Area increased by 6.4 percent from March 2016 and a whopping 62.7 percent from February. All local counties saw monthly sales-volume increases in excess of 40 percent, ranging from 42.5 percent in Solano County to 98.3 percent in Napa County. Home price growth was also uniform in California and all of its major regions. The median sales price for a single-family home in the state was $517,020 in March, up 8.0 percent from February and 6.8 percent from one year ago. The median sales price in the nine-county Bay Area rose to $837,720, a monthly gain of 6.8 percent and an annual increase of 10.1 percent. Seven counties posted both month-over-month and year-over-year gains. Prices decreased slightly in San Mateo and San Francisco counties on a respective monthly and yearly basis, but they remain the state’s two most expensive real estate markets, with a March median sales price of $1,350,000. McIntosh noted that inventory shortages amid intense demand are helping to drive price growth across the state and the region. California’s monthly supply of inventory dropped to 3.0 percent in March, the third lowest level recorded over the past three years. New listings were down by 12 percent from one year ago, which contributed to the inventory index’s decline. The Bay Area continues to suffer from the state’s most severe housing supply shortage, with a 2.2-month supply in March, down on both a monthly and annual basis. Inventory declined from February in all nine counties, and Alameda, San Francisco, San Mateo, and Santa Clara counties have the fewest number of homes for sale in the state. While California’s housing market is making a strong showing this spring, the lack of inventory may adversely affect it in the longer term. “The spring homebuying season is off to a good start, as the economic and market fundamentals remain solid for the most part,” CAR Senior Vice President and Chief Economist Leslie Appleton-Young said. “However, higher interest rates, a dearth of housing inventory, and slow wage growth will continue to have an adverse effect on housing affordability that is putting upward pressure on home prices, and is sure to hamper the market throughout the year.” Pacific Union Chief Economist Selma Hepp expressed a similar sentiment regarding inventory shortages and sales growth in her analysis of March Bay Area home sales.